The journey from El Mamey to the Lost City is an experience that is likely to live with you forever, as you stride out along the slopes of the Sierra Nevada Mountains and allow your surroundings to transport you back to the 14th century. 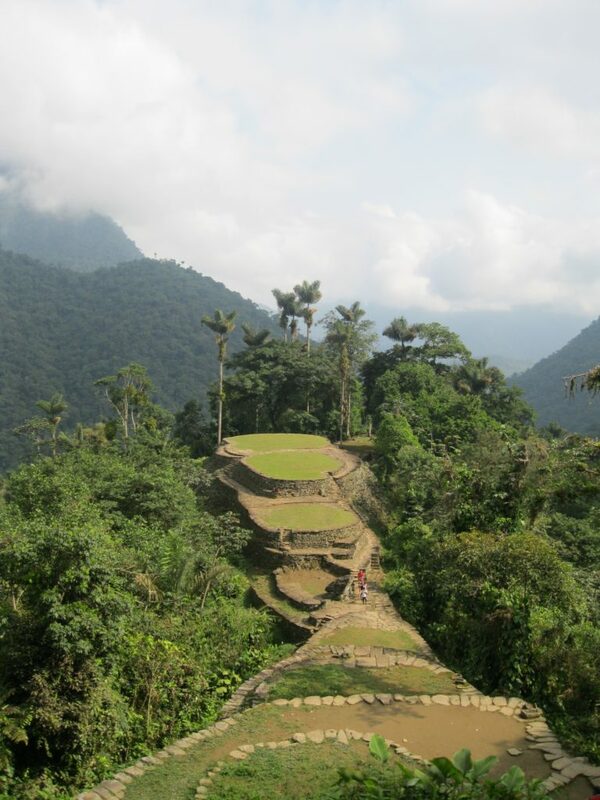 Ciudad Perdida is one of the largest pre-Colombian towns ever to be discovered and only recently resurfaced in 1972, when tomb robbers stumbled across it. Since then it has had a rather turbulent welcome back to the world and for many years the area was at the center of a deadly conflict between the Colombian government and FARC movement. However, luckily for us, the area is now well protected and safe, with tours becoming operational again in 2005. This means that very few tourists are yet to embark on this challenging four to five day hike, which offers those that do take it on a still very fresh and rewarding experience. It is certainly a far cry from the overcrowded and less authentic hikes that have become associated with the majestic Machu Picchu in Peru. 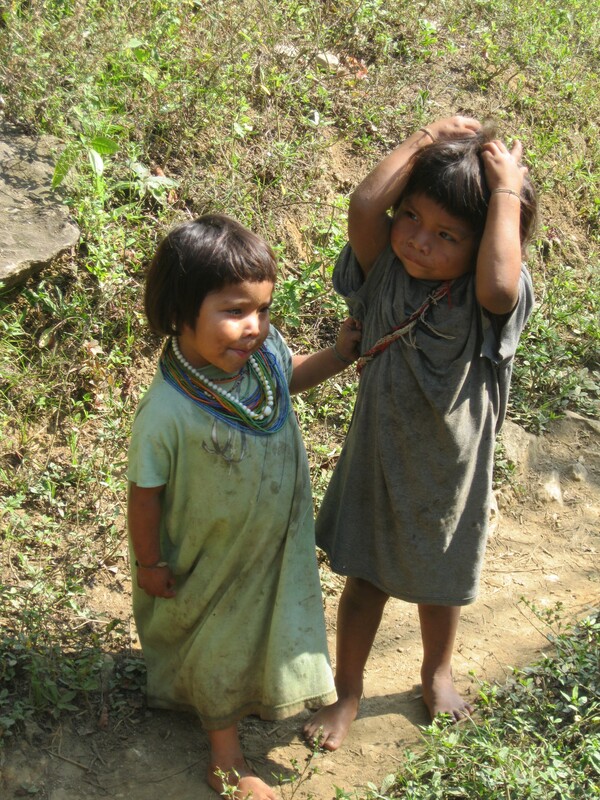 The walk itself will lead you through lush jungle, coca plantations, rivers and past several fascinating tribal villages, which are inhabited by the local Kogui and Wiwa tribes. Don’t expect a great level of interaction with members of either tribe, who understandably seem quite content on keeping to themselves. However, you do get a rare insight into their daily lives as you pass through their ancient campsites and walk alongside them on an hourly basis. You’ll notice that the male tribe members always have their mouths loaded with coca leaves and lime paste, to create a reaction that seemingly gives them a high and is said to allow them to connect to the natural world. The lime paste is carried around in a small gourd they refer to as a poporo, which you will notice never leaves their side. One can only hope that these ancient customs and traditions will stay intact when the inevitable happens and the tours become more popular in the years to come. 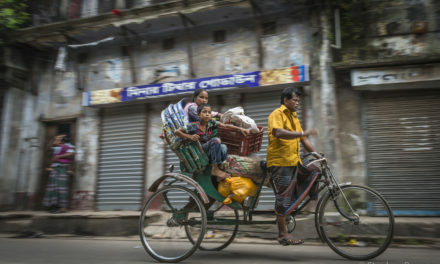 With the tours and local tribes going about their daily business in such close proximity, it is easy to see how their lives could change in the future. On the morning of your third day you will then be ready to tackle the final 1,200 ancient steps that lead you up to the main site of the Lost City. After over two days of hiking, the first glance you get of Teyuna almost appears like a mirage in the desert, as you peer through the overhanging branches and out over the circular platforms that aluminate under the rising sun. The whole site has a magical aura about it and is a wonderful place to explore for a couple of hours. It certainly lived up to all my expectations and really was the perfect finale to what had been a truly enjoyable experience up to that point. 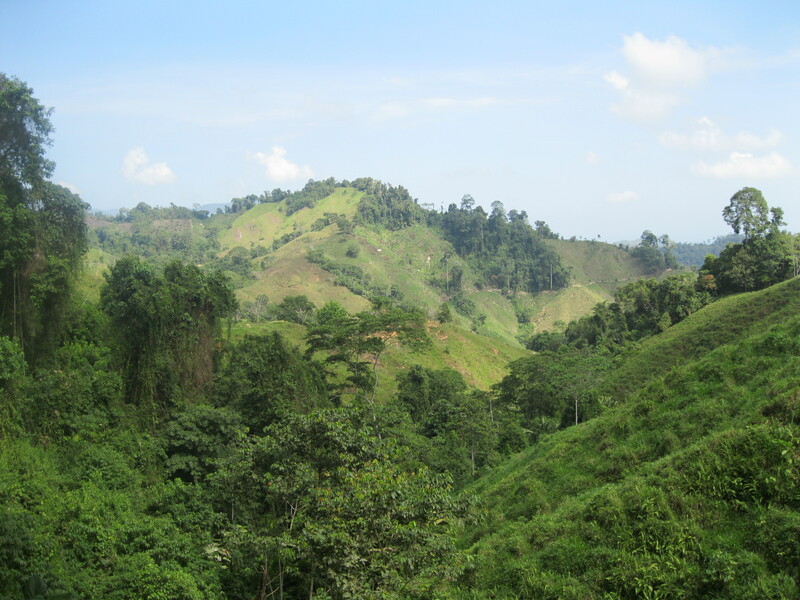 As you take in your surroundings and look out over the mountainous jungle that surrounds you, it is very easy to see why this ancient city had been lost to the world for so many years. Even now it still feels incredibly remote and largely untouched, a sensation that can often be lost at similar historical sites around the world. As impressive as Ciudad Perdida is, it’s the hike that really makes this such a special experience, largely down to the beautiful scenery you pass along the way, and is unquestionably a journey you can’t afford to miss if you find yourself in Colombia. 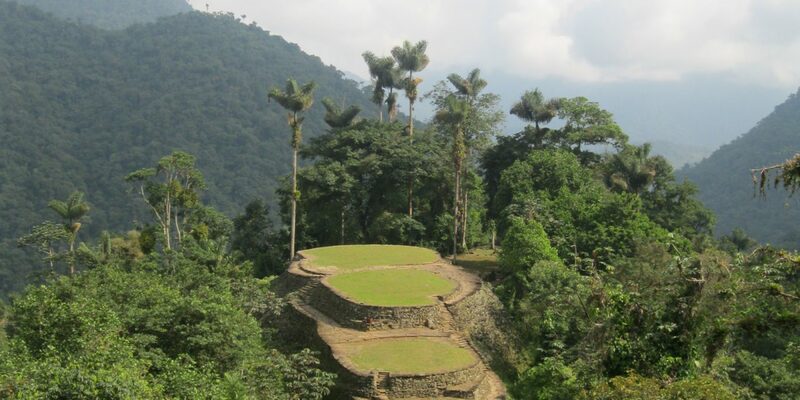 The four day hike to Ciudad Perdida is only possible as part of a tour, which all start and finish in the nearby city of Santa Marta. Only four companies are authorised to do the trek and all fees include transportation, food, accommodation, porters and guides. 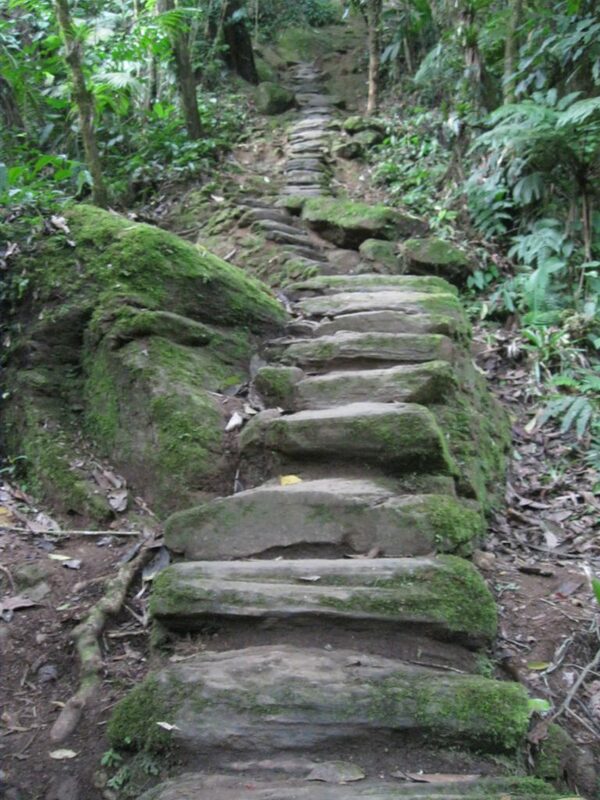 The best time to do the hike is during the dry season, which runs from late December to early March. Even when I went in February some of the paths were very slippery and muddy, so I dread to think what the conditions would be like during the wet season. Either way, make sure you plan ahead and are aware of the challenges you’ll be up against. 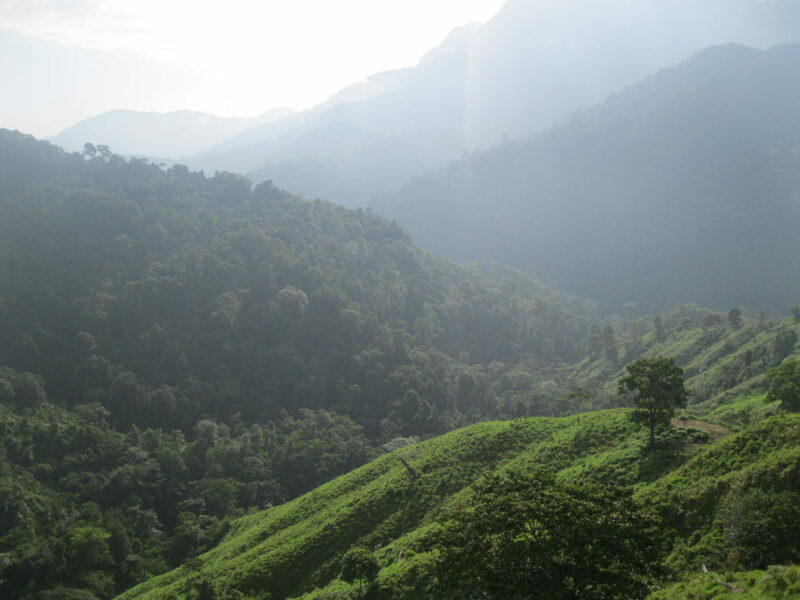 You should only attempt this trek if you regard yourself to be a competent hiker, as the heat and humidity of the jungle here can prove too much for some people. Pack loads of mosquito repellent, you’ll need every last drop! Traveling to South America? 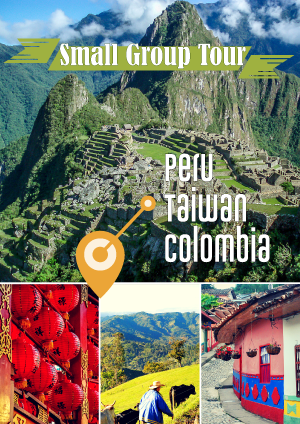 Consider joining our small group tour to Colombia. You’ll visit romantic colonial towns, walk on beautiful Caribbean beaches, and sip aromatic Colombian coffee. We focus on creating better travel experiences for you. Ah, you just gotta love Colombia! 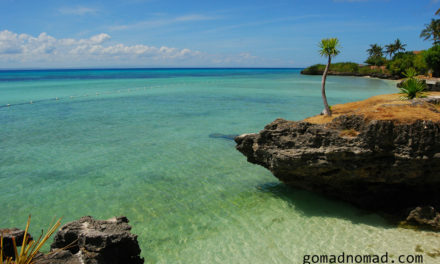 Can’t wait to go there.